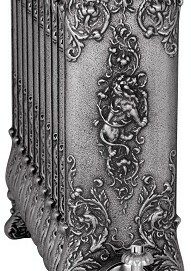 The Verona 650, originally manufactured in Massachusetts, USA by the American Radiator Company in the 1890’s, incorporates a remarkable design combining cherubs, dragons and lions entwined together with vines running throughout the decoration. 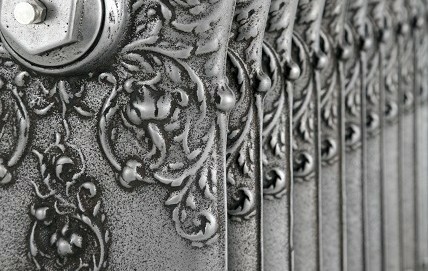 The Verona is available in three different sizes: 650mm, 800mm and 940mm high. 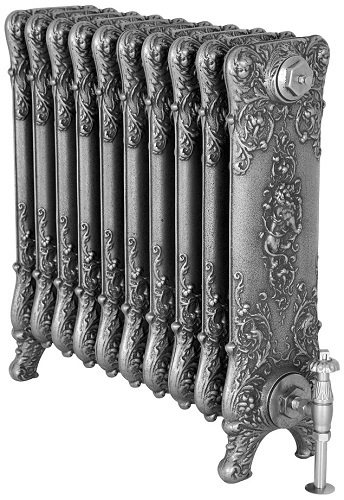 As ever, our cast iron radiators are fully customisable into the number of sections you require. 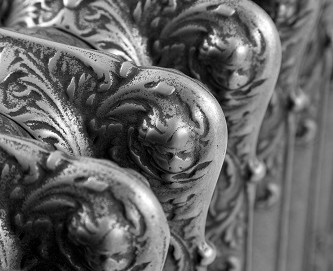 Two coats of grey primer are applied to the radiator. 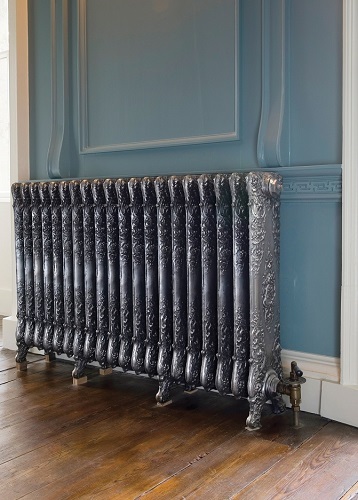 Our bespoke cast iron radiator service allows you full customisation with regards to colour. You can choose from standard colours, specify any RAL colour or choose one of the exclusive finishes from Little Greene. 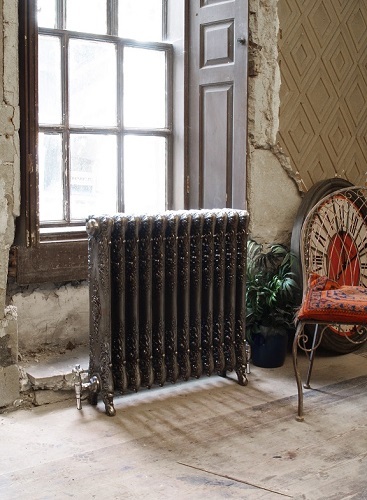 The full options are available in the ‘configure this radiator’ section. 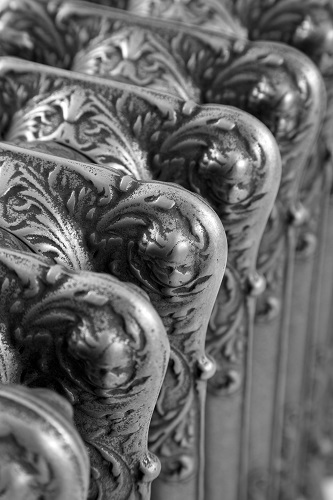 Hand burnished / highlight radiators have been lovingly hand polished back to the bare metal. 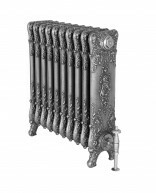 It provides a stunning look and brings out the intricate detail in your radiator. 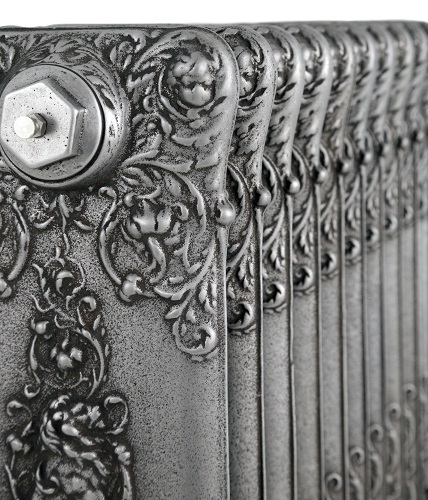 This option is perfect on a radiator with a patterned design. 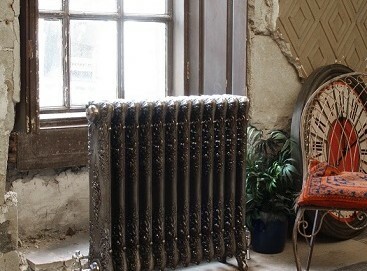 The radiator is first painted French Grey. 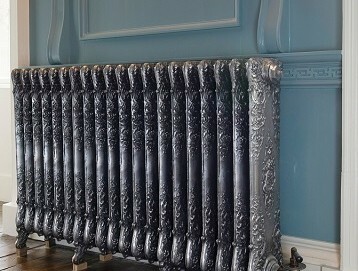 We then go over the whole radiator with a Black polish. 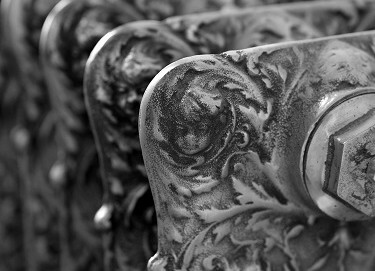 Once buffed the Black remains in the natural cracks and crevices of the radiator. 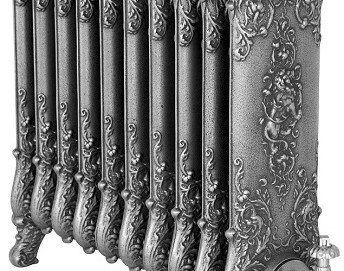 The radiator is first primed, painted black and then the raised decoration is burnished to give a fantastic finish to the stunning design feature of the radiator. 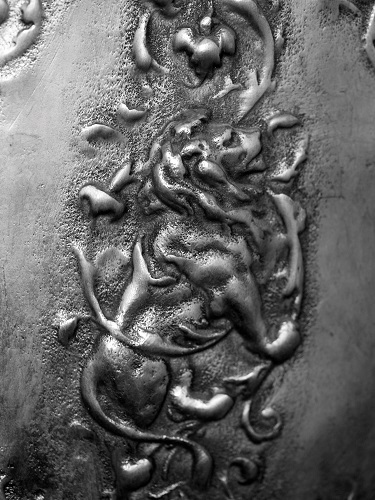 If you would like to make an enquiry, or require any advice at all, don’t hesitate to get in touch and our workshop experts will be on hand to help. 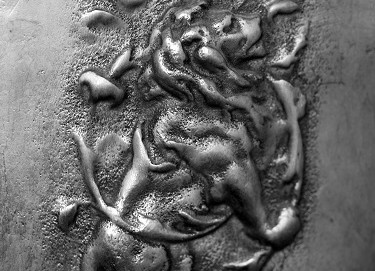 Call us on 01772 794 534 for more information. 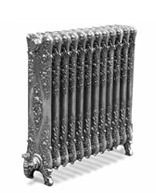 If you’re interested in this radiator but need more assistance, please call us on 01772 794 534 and we’ll be happy to answer your questions, or simply click below to start configuring your choices. 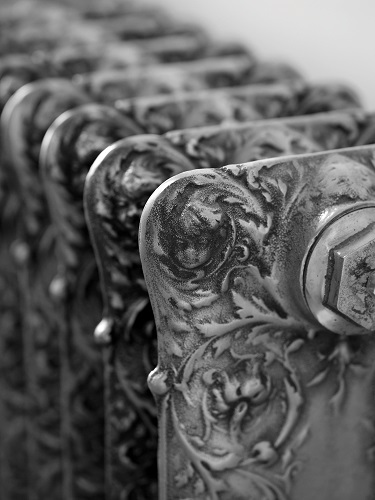 Need Help Choosing Your Radiator Size For Your Room? *The above measurements are given for guidance only and should not be used for the fixing of pipework.